Healthy eating recipes start with eliminating animal protein and processed foods, and they begin with nutrient dense foods from plants. In order to maintain a change to healthy eating as permanent in our life, the foods we change to must be pleasing to the taste buds or we will return to the old, unhealthy way of eating. Most people in America plan their meals around beef, pork, chicken or cheese. The problem with these choices is they are full of fat... even the leanest piece of meat has a lot of fat...and these foods are making us overweight and sick! We are often asked, "If I don't eat meat and dairy products, what is there to eat?" Healthy eating recipes are going to be all about ingredients such as potatoes, rice, legumes (peas, beans & lentils), or whole grains which simply replace the animal products. The next step is to add vegetables and some fruit. What kind of vegetables? Green ones, yellow ones, purple ones, orange ones, red ones...create a colorful plate full of beautiful vegetables and fruit. Now that is a healthy meal! Most families have a limited number of meals they eat over and over again. So, how many new healthy recipes or meal ideas will it take to replace the old unhealthy ones? It is fun to explore new foods when looking for healthy eating recipes. You can begin by eliminating some of the unhealthy foods and recipes and adding some of the healthy ones, or you can just make the change all at once and reap the wonderful benefits of healthy eating. Taste is very important with the foods we eat. There is no doubt about it, meals prepared with animal products are usually very tasty to us...because that was the way we were raised. We often exclaim after taking a bite of a hamburger or barbeque, "ummm, this is really good." All of these ingredients have the power to create aroma and taste. Asian food recipes are remarkably tasty, and there are many delicious dishes that are plant based. 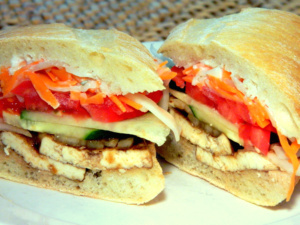 One of my favorite sandwiches is this Vegetarian Vietnamese Style Sandwich. What a great range of tastes for the palate to enjoy! 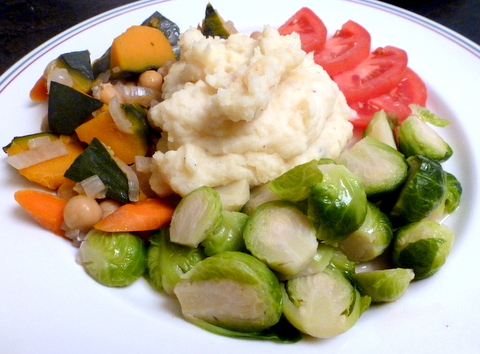 We can learn a lot from these cuisines, because of the large amount of vegetables they eat. People from Asian countries, which of course include China and Japan, do not have the chronic diseases like we Americans have until they start eating our unhealthy foods. How am I going to get my protein if I change my diet? Dr. Joel Furhman explains, in one of his excellent videos, the incorrect information we have been fed for years about proteins, he calls them "protein myths." Dr. Furhman says, "We get all the protein we need from plants. We have been raised with a great protein myth that we need to have animal protein everyday to be healthy and strong. Wrong! The amount of protein we need to be healthy and strong is only 5% of our calorie intake per day and we can get all the protein we need from plants. There is over two times the protein in 100 calories of broccoli as compared to 100 calories of beef." And he continues with this question..."Where do you think the largest animals on earth get their protein? The elephants, hippos, rhinos, etc. don't eat another animal...they get their protein from grasses. All life as we know it depends on plants for their protein and their survival...and humans are no different. As Americans our diets are often too high in animal protein and this can lead to serious problems such as cancer, osteoporosis, arthritis, heart disease, kidney disease and even chronic pain." Since plants are the basis of healthy eating recipes, simply select recipes that avoid using animal products such as meat and dairy. 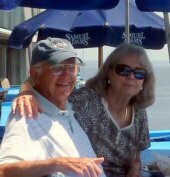 Once you break this lifelong habit that most of us have, you will be pleasantly surprised as to how good you will feel. With the economy struggling, many of us find we are cutting costs to ease our budgets. It's easy to save money eating a plant based diet. Cooking at home instead of bringing home unhealthy take out meals or eating out is an easy way to save money. Why not think about eating healthy on a budget as something the whole family participates in? 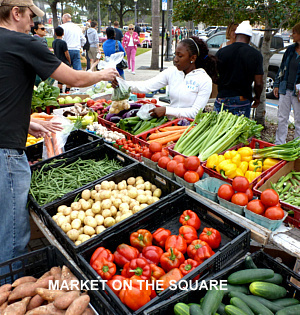 Make a weekly trip to a local farmer's market. Produce is usually very fresh and affordable...and a twenty dollar bill goes a long way when shopping for produce in these local markets. Our budget friendly and healthy eating recipes are going to be a great start in the right direction...not only to help you and your family to stay healthy, but to make healthy eating with good food very affordable. So, we invite you to join us in transforming your life one meal at a time into a healthy lifestyle for years to come. We hope that you enjoy some of the healthy eating recipes we have to share with you and your family. Lunch - Here are some ideas to replace the burger and fries, pizza laden with cheese, and other fast food lunches that are making us fat and sick. Salads - Start your salads with dark green leafy vegetables to make your diet rich in antioxidants and phytochemicals which protect our body from free radicals. Soups - Having a supply of homemade soup in your refrigerator is a great way to replace unhealthy and expensive fast foods. Soups are great for lunch or dinner.